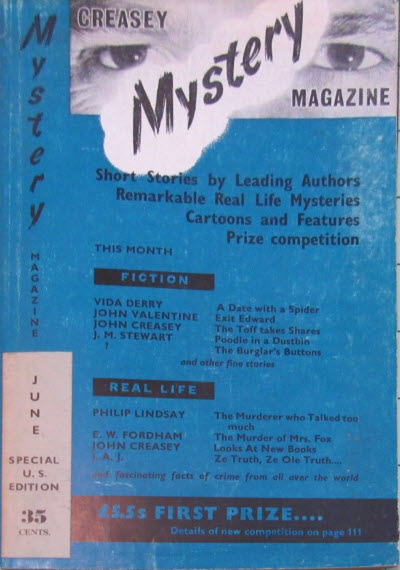 Several issues of John Creasey Mystery Magazine have been located which have identical contents and issue numbers to the main sequence, but have stickers on the cover identifying them as a Special US Edition, with a price of 35 cents. Although only the month name is specified, these are known to have appeared 4-8 months after the equivalent UK issue. 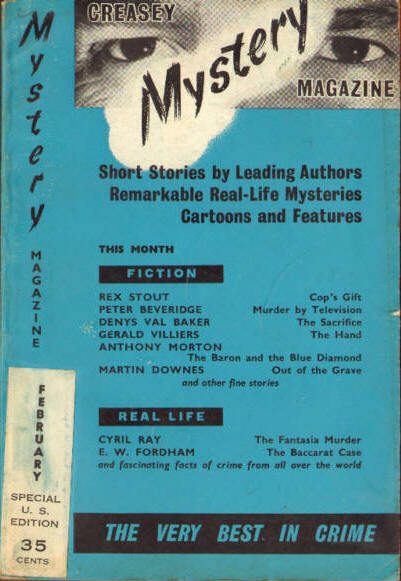 Reprint of the December 1957 (UK) issue. Details supplied by Richard Fidczuk from Table of Contents. Reprint of the May 1958 (UK) issue. Details derived from a cover scan and the contents of the UK issue. Reprint of the June 1958 (UK) issue. Details derived from a cover scan and the contents of the UK issue. 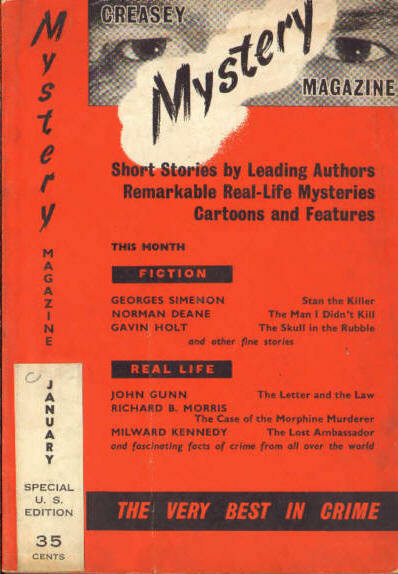 Reprint of the July 1958 (UK) issue. Details derived from a cover scan and the contents of the UK issue. Reprint of the August 1958 (UK) issue. Details derived from a cover scan and the contents of the UK issue. This is the second issue dated March, so this was presumably supposed to be April. Incomplete Data - Issue not found - probably a reprint of the September 1958 (UK) issue. 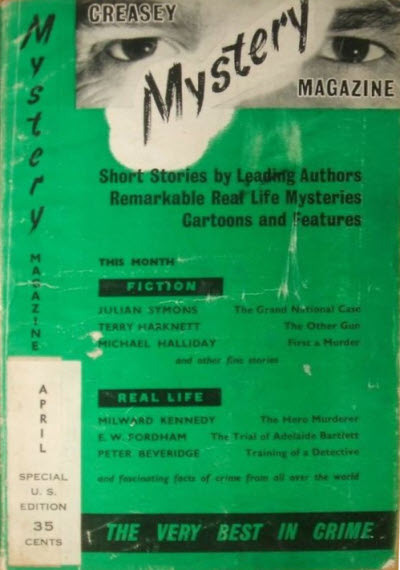 Reprint of the October 1958 (UK) issue. 107 · The Burglars Buttons · Anon. 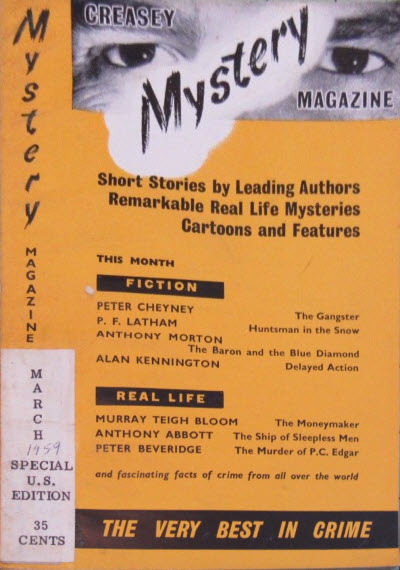 · ss John Creasey Mystery Magazine Oct 1958; the author was to be revealed as the result of a competition, but this doesnt seem to have happened.